Teena came back from Winnipeg a couple weeks ago with a bunch of beer that I can't get here in Ontario. Among them was a single 650 ml bottle of Quiet Rye'T Rye IPA from Fernie Brewing Company located naturally, in Fernie BC. The brewery opened in 2003 and operated out of the Pask Family barn. They grew in popularity and in 2007 moved to their present building. Looking at the pictures of the brewery, it has to one of the most beautiful settings that I have ever seen a brewery located in. 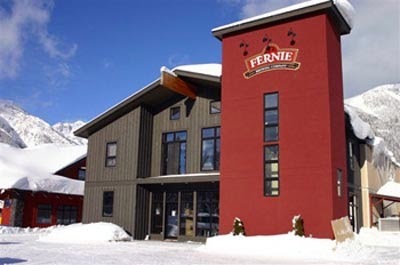 Fernie Brewing operates what they call the Cheers to Charity program where 100% of all money customers spend on tastings go to local Fernie charities. The program started in 2013 and they have raised almost $10,000 in that time. So what about the beer? I couldn't find any proof of this but it's possible that this beer's name "Quiet Rye'T" is a tribute or play on the name of Quiet Riot, a rock band from the 1970s. The beer pours amber in colour with a slightly off white head. I find rye pale ales have a distinct aroma, and this one has it. One reason I enjoy rye pale ales is that there is nice bite that comes from the rye in the malt, followed by a great hop bitterness. This ale has all this. The bottle says that there are peppercorns in this, but I didn't pick up any pepper or spice in the flavour. Then again, I will always admit that I don't have the best palate either. It's a terrific beer that I would have again. I would love to be able to buy it from that beautiful brewery in person.